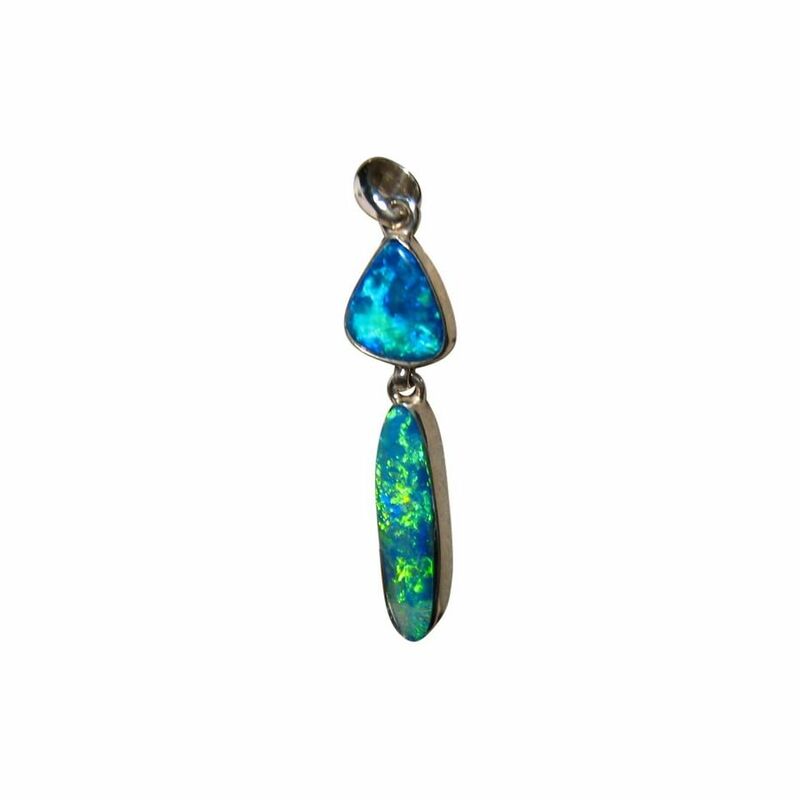 A beautiful big Boulder Opal pendant in two pieces set in 925 Sterling Silver. 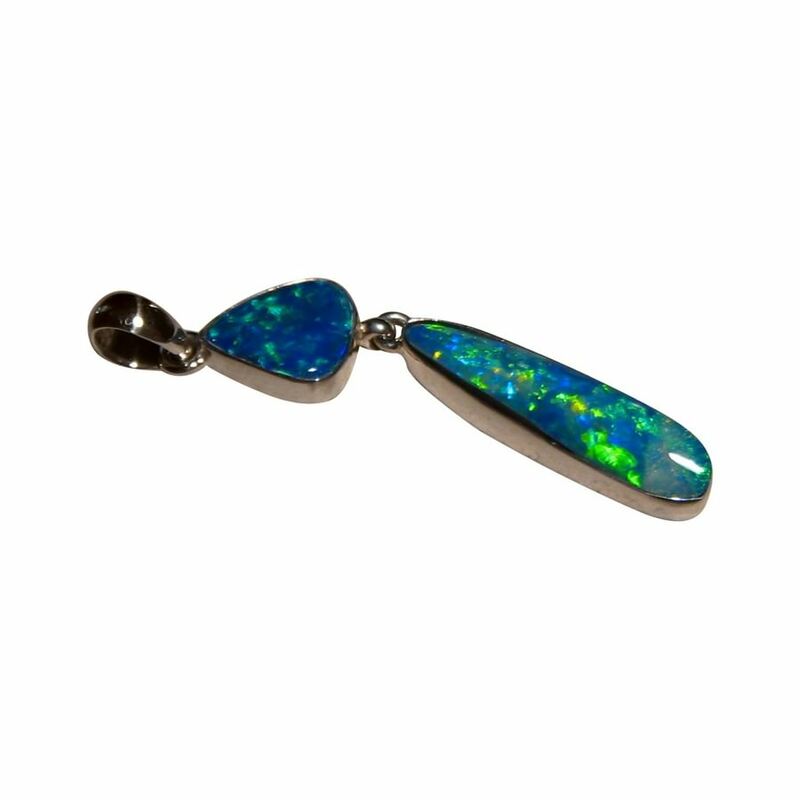 A quality Opal pendant in 925 Sterling Silver that women or men could wear and has a beautiful mix of colors in a lively pattern you will see in the video below. 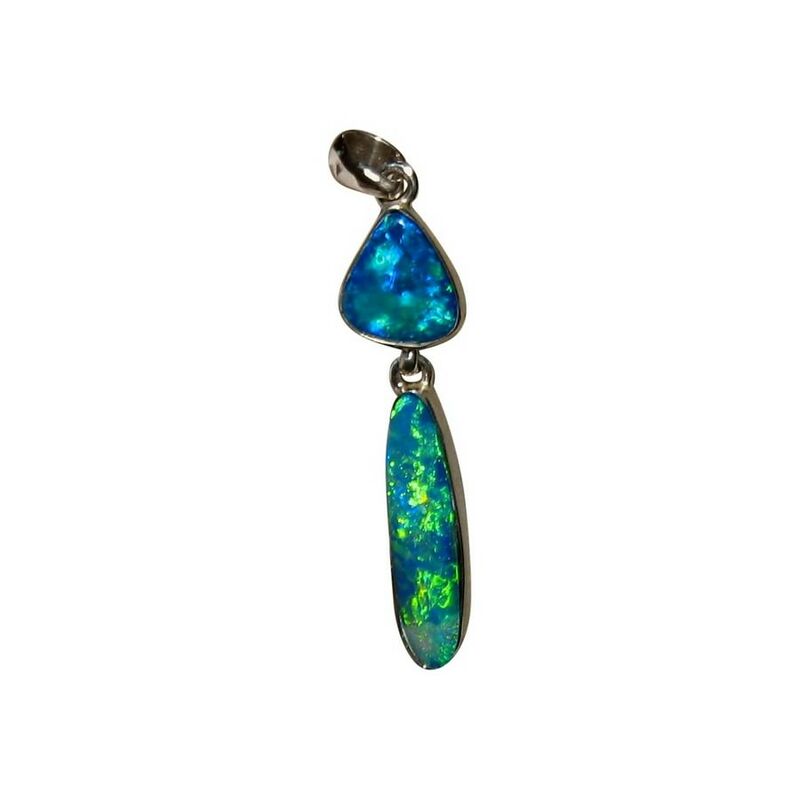 The high polish and gleam of the Silver accentuates the tones in the Opal with a triangle cut Dark Crystal Opal on top and a long narrow oval Boulder Opal on the bottom. 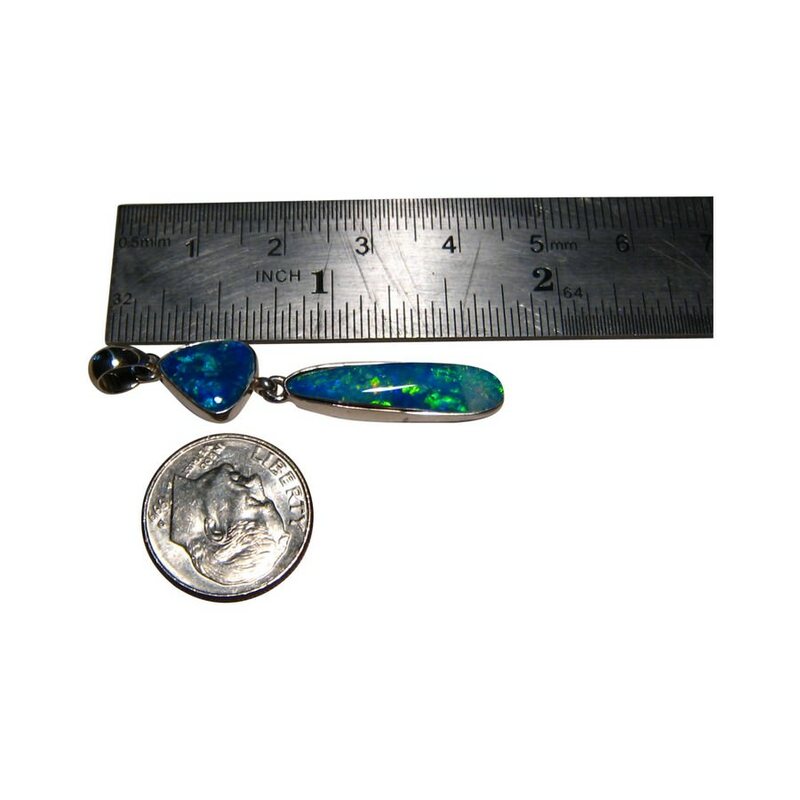 A good size Opal pendant that is sure to be noticed and admired with the overall pendant measuring just over 1 ¾ inches long from the top of the bale to the bottom of the pendant. 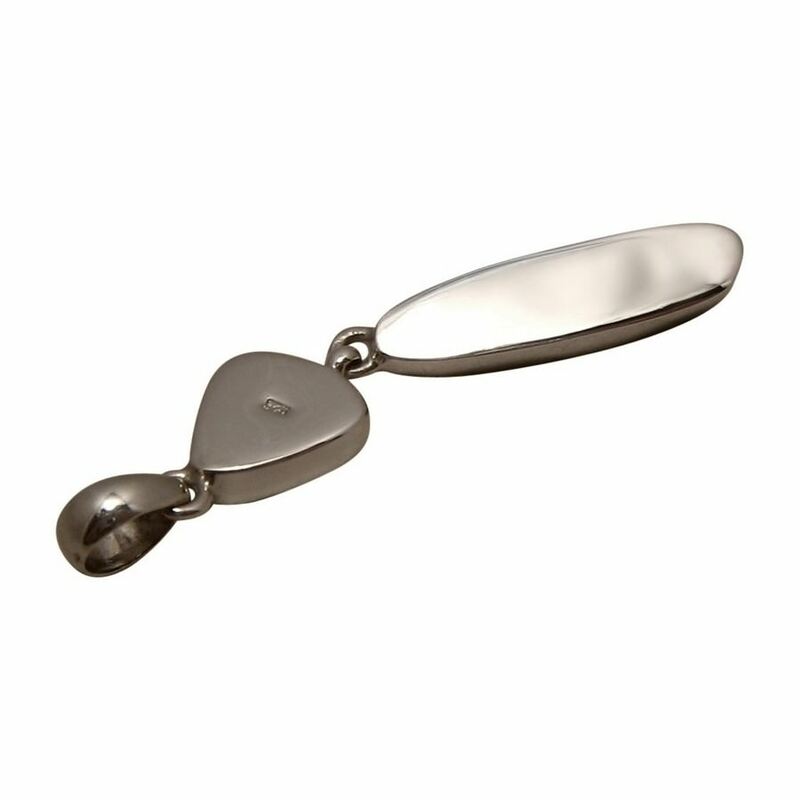 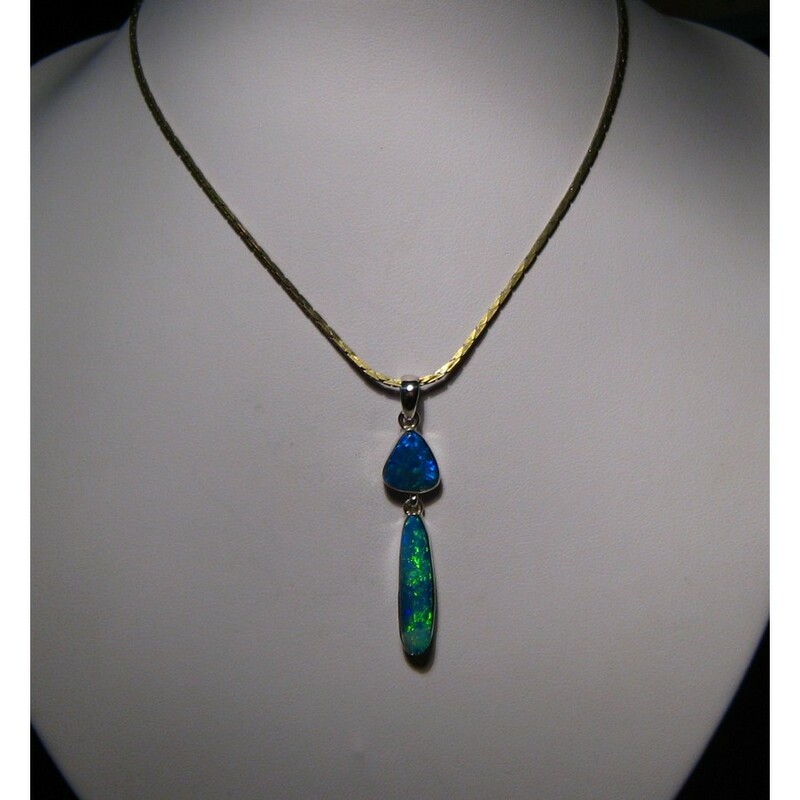 A quality Silver Opal pendant that is ready to ship now but does not include a chain.